In celebration of the holiday I spent yesterday with friends, and it was a day filled with fun, laughter, and a ridiculous amount of food. 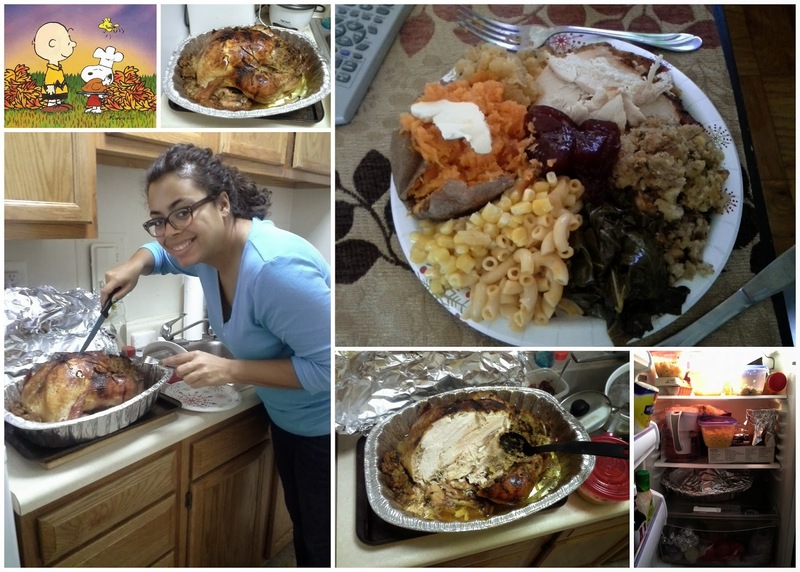 I'm incredibly lucky in the friends-turned-family I have in DC and Thanksgiving this year was a classic example of why. Who else brings two entire pies AND a tray of frosted brownies to share amongst three people!? There may have also been some (a lot) of time spent in the carrot onesie dancing to this song. I wish I could you send some! It's funny, the things we miss when we move to new place :-/.